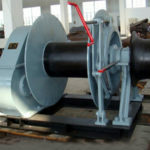 Cable pulling winch, belonging to cable pulling equipment, is a kind of special dragging device applied for cable pulling or releasing, towing ships without ability of self navigation or ships losing the self navigation ability, and also can be used for other onshore and offshore pulling operations, for example used on dock or drilling platforms. 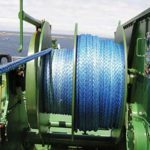 It is being widely used on many types of boats or ships, such as bulk carriers, container vessels, fishing boats, oil tankers, barges. 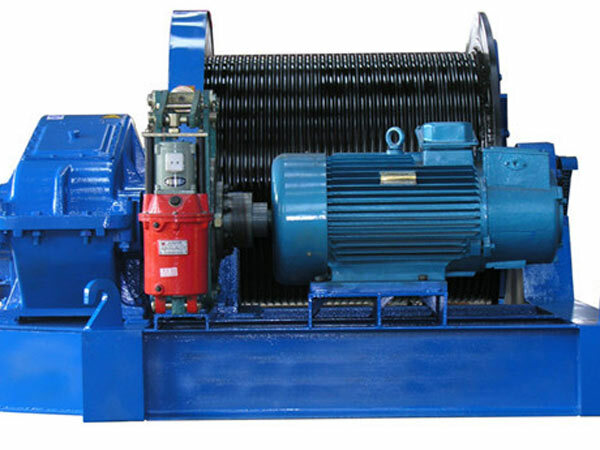 The winch mainly compromises three parts and they are power unit, implementation mechanism and control unit. 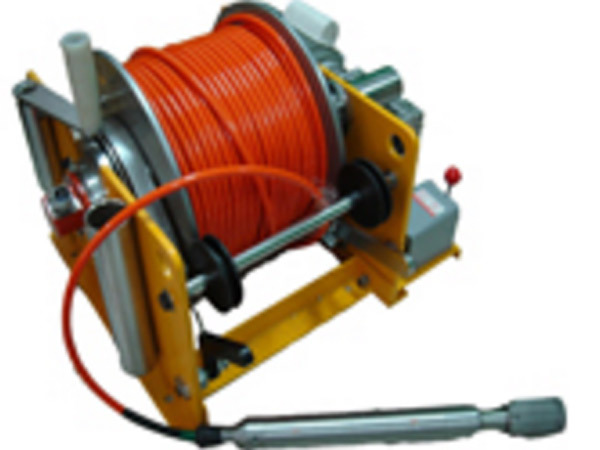 This kind of cable pulling machine can be divided into electric cable pulling winch, hydraulic cable pulling winch, cable pulling winch driven by diesel engine etc. 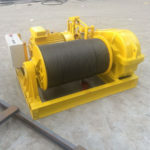 The electric pulling winch is powered by electric motor to drive the drum to pull or release the cable during the operations, the winch drum can rotate clockwise or counterclockwise at different speeds according to needs. With the rotation, the cable is pulled or released to implement different operations. 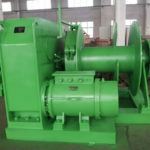 The hydraulic pulling winch is powered by hydraulic pump and it usually has larger load capacity than electrical winch, and that is why it is often adopted on large vessels for various operations. Hydraulic pulling windlass has stable power source which ensures the reliable and durable work without stop in the process of the operations. Because it has large load capacity, it’s widely used on vessels which need heavy load operations. The winch can also be powered by diesel engine according to need. 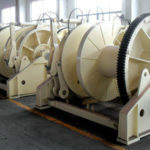 The winch can be equipped with spooling device on request to facilitate the installation and release of the cable to make the cable spool around the drum evenly and orderly. The drum quantity is optional and its diameter depends on that of cable diameter, length and capacity. 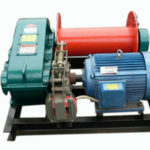 The winch works reliably with low noise. 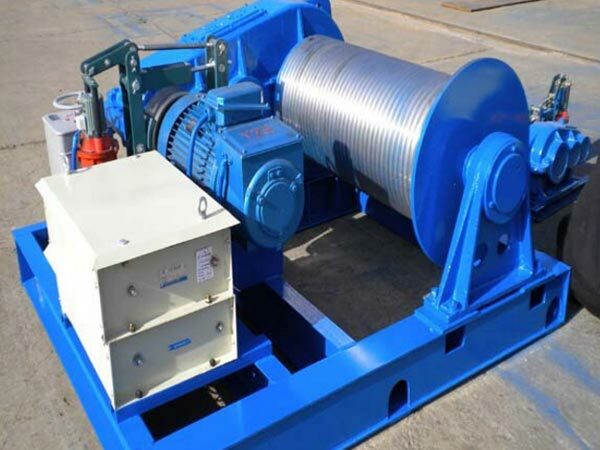 If you need customized winch machine for cable pulling, just choose and cooperate with Ellsen company that is one of the experienced and reputable cable pulling winch manufacturers in China. 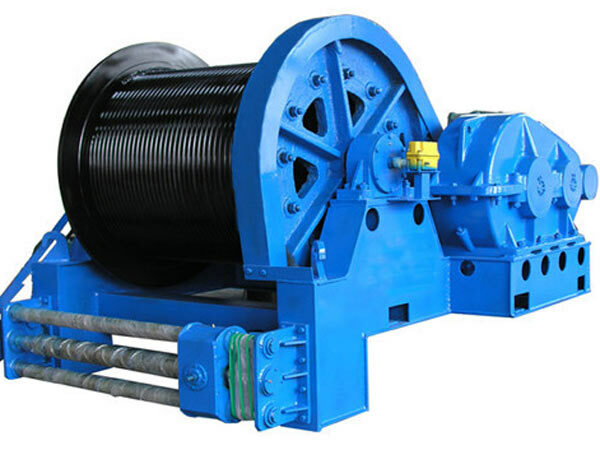 We need the following details provided to customize the winch: the maximum pulling force, how and where to use the winch, rope capacity of the winch drum, diameter of the cable, power mode etc. 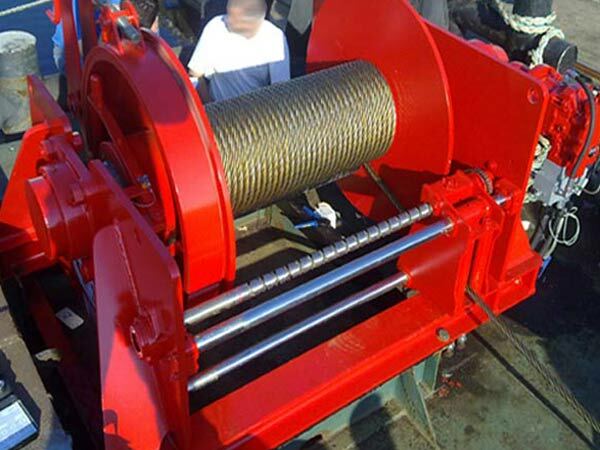 To get more information about cable pulling winch for sale, please feel free to talk to us or send the inquiry.